Your mission is to become the Emperor of Japan. Hire soldiers, move your army by dragging the mouse over your soldiers and choosing direction of the attack. Build special building to increase your power. Control combats by dragging and clicking on command icons. Click Finish Turn to pass the day. Use mouse to control the game. Your task is to use your sword and dragon fire spell to beat all enemies who are blocking your way. Use W A S D keys to move around. Press K to jump. Press J to attack. Use I to pause the game/show skill panel. Push W and press J to execute spells. Move hero over the item and press Down arrow key to pick up it. Sift Renegade features the Yakuza member Kiro, who is on a mission to seek the truth and take revenge! The game has an exciting and suspenseful storyline. Fight dozens of enemies, escape from your assailants on a wild bike chase, or combat at close range with your shuriken stars! Use Controls: W A S D to move, jump, hide or block. Use the left mouse key to attack. Classic match three blends together with relaxing music and harmonious gameplay to make a stunning sequel in Age of Japan 2! Matching the three same elements together is only part of your goal now. You are the tutor of a young Emperor and must not allow Japan to be destroyed! Enjoy Japan, through all the seasons, in this wonderful puzzle game! 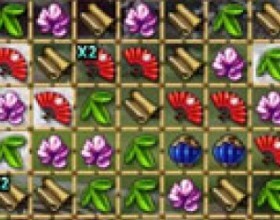 Match elements to clear the game cells! 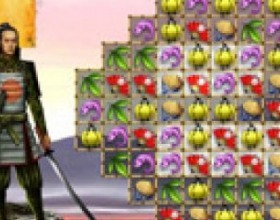 Play Arcade or Puzzle mode, delighting in the special music and sound effects that run throughout the game. There are 12 incredible bonuses to help in your journey of a lifetime through the Age of Japan! The king of death match is on his mission to be the ultimate street fighter. You can play the story mode or the death match to earn some money to buy new weapons. Be amazed with the original fighting stunts this game has to offer. use controls: W/A/S/D - To move. B - Attack / Pick up. N - Jump. M - Special. Space - Choose weapon. A white shirt and a secretary are having an affair that is getting really passionate! They want to kiss all the time, but there is always their Boss trying to flirt with this beautiful young lady. So help the couple kiss only when the boss turns his back and starts talking at phone. Japan is a very interesting and enigmatic country. If you want to learn more interesting and unusual facts about it, you can always play Japanese games. You will receive an opportunity to get in touch with the political, economic and cultural life of the Japanese, and splendidly spend the time. Work is not at all always boring and dull, especially when speaking about the colleagues which are dating at work. In Kissing During Work your character will be dating with beautiful office lady. Every day they are falling in love stronger and stronger. The characters want to kiss all day long, but old director of the corporation is always angry with them. So your task is to help your characters conceal their relationship from the director. Wars are continuing and you have to fight against your enemies in the third part of the legendary game, Yan Loong Legend. Control the performance of your hero with the help of key buttons. You can attack with a sword or use incantations. Choose a hero which you like most. Adventures are only beginning. Kiro, your hero, is the fairest person in the world, and he is going to take revenge for all abused. So you are going to run away from your enemies, ride a motorbike, fight against the enemies and earn points. Kid games are not always simple. 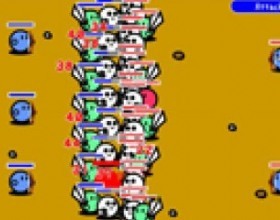 The proof of this is the game Age of Japan, where you have to build vertical or horizontal lines of the same pictures. Your score will depend on the amount of balls which you have built. You can also play with time restrictions and collect bonuses. Pleasant national Japanese music adds more attraction. Political games are the most interesting ones, as here you have to solve the questions of the state importance. In Great War of Perfectures you are going to be a Japanese emperor. Choose a site of the land for your soldiers and attack the nearest territories. You can save the game in order to continue any time. Start fights in the street in Crazy Flasher 3. Only one participant is going to survive, so you have to be very careful and attentive. 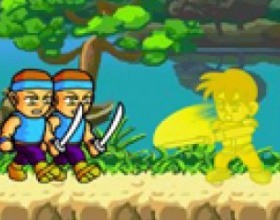 You can proceed through the whole game or take part only in separate fights. Use the key buttons in order to move. Puzzles are an excellent opportunity to train memory and logical thinking. Japanese are famous for their logical games. Perhaps one of the most famous games within the genre is Sudoku. You can easily find Japanese games online.